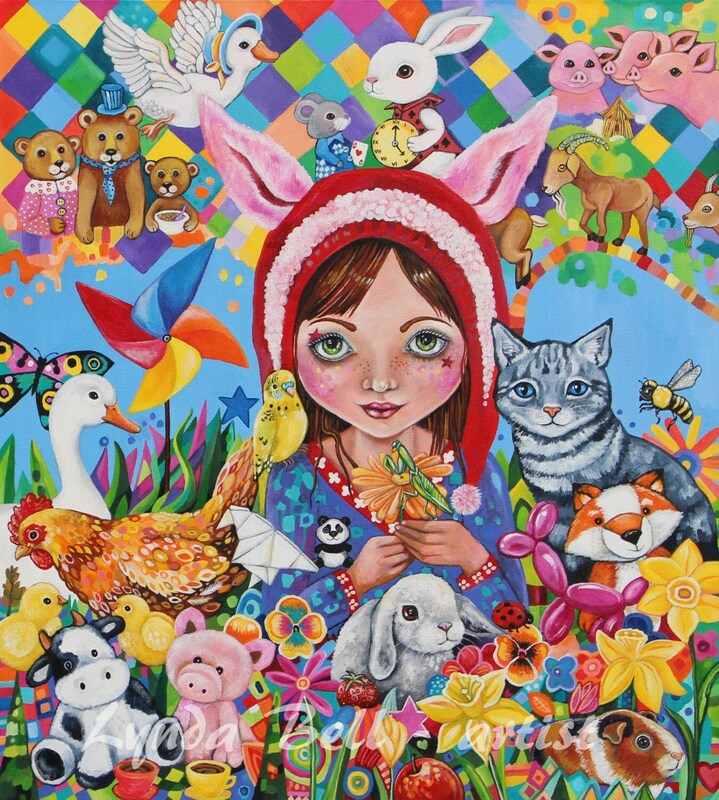 Childhood Critters: This painting shows a collection of the ways in which animals surround children as they grow up: pets, clothing, stories, movies, and toys. Most people encourage their children to love and respect their pets, to be kind and compassionate, to watch a movie or read a story and root for the animal who might be made into a pie. Yet there is a part of our culture that says it is OK to eat, hunt and wear animals. This painting is a reminder of the connection we always had to animals and I hope that it inspires some reflection on this. Check out my facebook page: 'Lynda Bell-artist' and instagram: lyndabell_artist for more about me and my art!